Are you looking for apartments near Evansburg State Park? Walnut Crossing offers spacious one, two, and three bedroom floor plans featuring upgraded amenities with convenient access to this stunning greenspace. 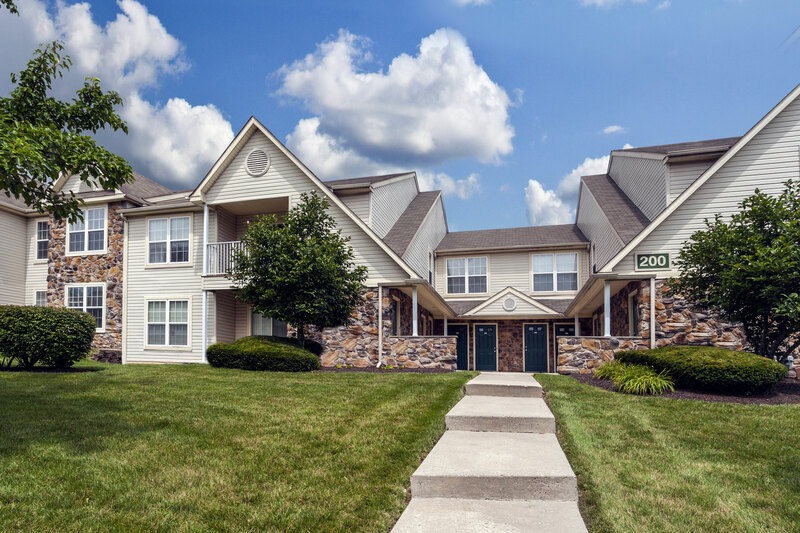 Our Royersford apartments feature on-site amenities like resort style swimming pool, tennis court, and playground so that you and your family can enjoy the outdoors right at home. If you’re looking to get out in nature a bit more, nearby Evansburg State Park offers a wealth of outdoor opportunities. Our apartments near Evansburg State Park put this wonder of nature just 20 minutes from your front door. Originally part of a massive tract of land purchased from the Lenape by William Penn in 1684, this 3,349-acre park is open 365 days a year from sunrise to sunset. The park is comprised of several habitats including farmland, forest, meadows, and old fields. Evansburg also features a variety of activities including space for picnics, ball fields, biking, hiking, hunting, horseback riding, and fishing. If you’re a golfer, Evanbsurg State Park offers an entire course within its grounds. Skippack Golf Club is a full-service golf complex set Evansburg State Park land. It spans 6,007 yards of golf with a par of 70 and even features The Farmhouse Restaurant, offering lunch, dinner, and weekend brunch with a full bar. The restaurant also welcomes live music and is open for private events. Evansburg State Park has a rich history that you can still discover today. The grounds are dotted with remnants of Mennonite settlers that once occupied the lands. Mill remnants, mill buildings, and houses from the 18th and 19th centuries can be found throughout the park’s landscape and serve as reminders of early American life. Contact us today to learn more about our apartments near Evansburg State Park and to schedule a tour of Walnut Crossing!